If you are interested in working with us at Kern Family Farm, please read the details below of our intern and apprentice programs and fill out the application form at the bottom of this page. Hiring is done on a rolling basis. Interns and apprentices live and work on the farm, experiencing the many facets of our diverse organic operation. The communal work day 8Am - 12PM where everything from weeding and soil cultivation, bed preparation, planting, transplanting, seed saving and a myriad of other farm based tasks are performed. 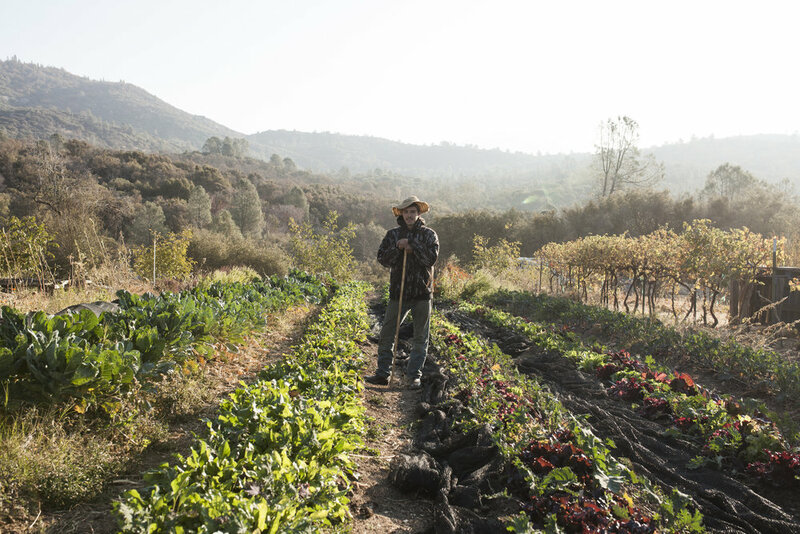 We harvest on Mondays and Thursdays delivering to our many restaurant partners in the local town of Oakhurst and are present at seasonal farmers markets. If education is of interest, you will be able to assist with the off-farm school garden project which we run on Fridays at North Fork Elementary. With community being one of the pillars of our farm, we are involved in many other off farm events and activities and our team are highly encouraged to volunteer their time to attend and assist. The rhythm of the farm varies with the seasons. From June through October, the days are very long, often with more tasks to complete than there is time to get them done! Vegetable production on the farm is in full swing in the summer months. It gets hot here in the summer, but we can always cool down in the creek that runs through the farm. We have had over 500 “WWOOF” interns work with us on the farm over the past 10 years. In exchange for 20hrs of work room and board is provided. Interns are not required to have any farming experience, though we prefer those that can commit for more than 2 months (with an initial 2 week trial period) as we are most interested in working with those that want to get a feel for sustainable agriculture. Afternoons and weekends are free time, though there are always projects interns are welcome to get involved in. Our apprenticeships are perfect for those who’ve had some farming experience and are looking to take that next step with more responsibilities, while gaining the skills and education to further their careers in sustainable agriculture. Apprentices are expected to work in the afternoons, where our interns are not, taking on more responsibilities on the farm. We look for longer term commitment, a minimum of one year which is necessary to experience all four seasons of the farm. For our apprentices there are stipend opportunities available, based on long term stays and taking on areas of responsibility. Accommodation is a large and comfortable RV or cob house. You will share a kitchen and bathroom with other apprentices and interns. Please provide two references, preferably previous employers, who can vouch for the quality of your work skills, reliability and honesty. Include their names, where you worked for them and a brief description of your jobs. Please list their phone numbers and a good time to reach them. Have you ever had experience working on a farm? Please describe. Please list any other skills you have which might be applicable to this job including experience with machinery, produce sales, retail sales, cooking, writing, animal care, gardening or horticulture. Please describe why you would like to work on our farm and what kinds of things you would expect from your experience. 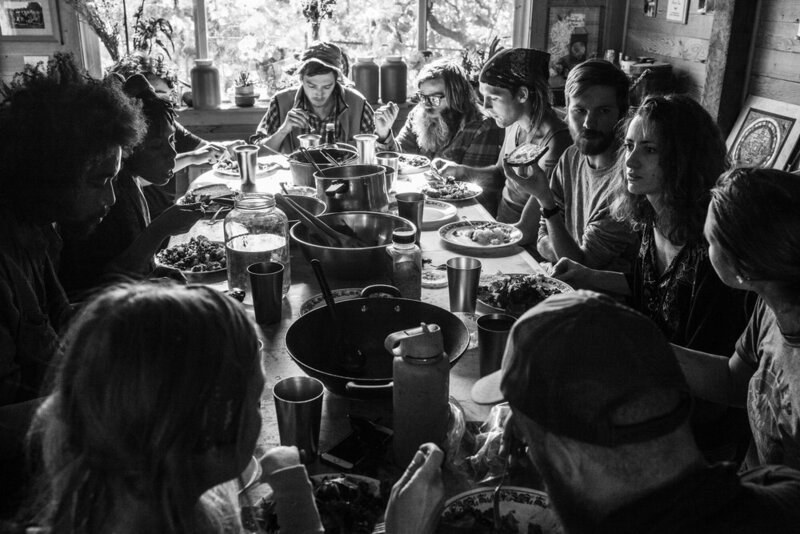 Have you ever lived in a community or group before? If so, what did or didn't you like about it? Do you have a current drivers license? Experience driving delivery vehicles and/ or stick shifts? Have you had any vehicle accidents or violations in the past 5 years? Do you own a vehicle? The following are a list of farm based activities that are not limited to vegetable production. Please check which ones most interest you. Thank you for your interest in working with us! We look forward to reading your application and will be in touch soon.